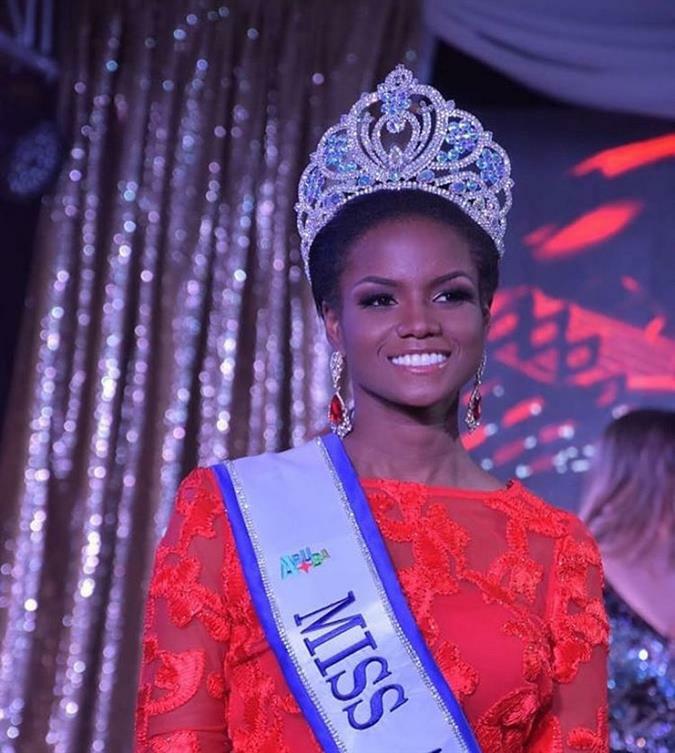 Nurianne Arias Helder was crowned Miss World Aruba 2018 on 7th June 2018, in the same event when the crowning of Miss Aruba 2018, Miss Aruba Hispanoamerica 2018, and Miss Aruba Internacional del Café 2018 took place. Nurianne who is 23 years of age graduated from the University of Aruba’s Faculty of Arts and Science’s Organization, Governance and Management Bachelor programme. She is passionate about charity work and has been working in many social projects with various foundations since she was 12 years of age. She can often be seen posting images that inform people about different health conditions, its causes and prevention. She loves to dance and enjoys reading articles about different health topics during her free time. She is truly a health advocate as she has started a foundation named Speak your Heart Foundation which deals with motivating and stimulating health in different age groups of different ages and help raise funds for children suffering from chronic conditions who need financial aid. After winning the national title, Nurianne has been really active with social work as a part her Beauty with a Purpose Project. Healthy Kids Camp and Casa Cuna Children’s Home just two of the many foundations that she has been working with. Nurianne was crowned by her predecessor Miss World Aruba 2017 Anouk Eman and will now be representing Aruba at Miss World 2018 on 8th December 2018 in Sanya, China where the winner will be crowned by Miss World 2017 Manushi Chillar. We wish this diva with a beautiful heart all the very best.